In Dan Holdsworth’s long-exposure photographs the landscape – and the structures built within it – takes on a strange other-worldly quality. This comes in the main from the effect of artificial light, which pollutes the scene giving a strange, toxic glow. Bluewater shopping centre, recorded at night in the bright glow of its own streetlights, seems far removed from the consumerist mecca we might expect. According to the architect Le Corbusier ‘a house is a machine for living in’. 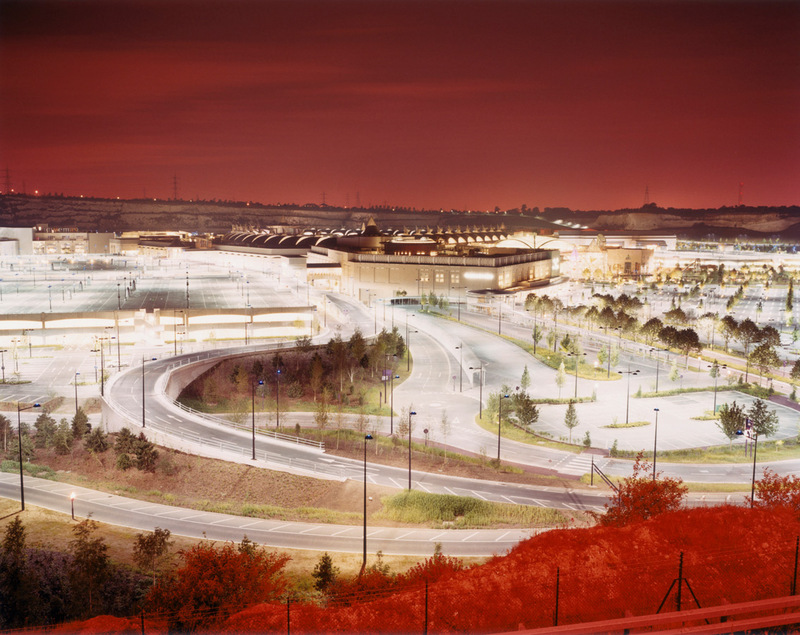 Dan Holdsworth’s series of night photographs of public spaces such as shopping centres and municipal car parks revises this, so that the built environment appears almost uninhabitably alien. These are places that seem convincingly mechanical, but as closed systems likely to shut us out rather than as machines to assist our daily lives. 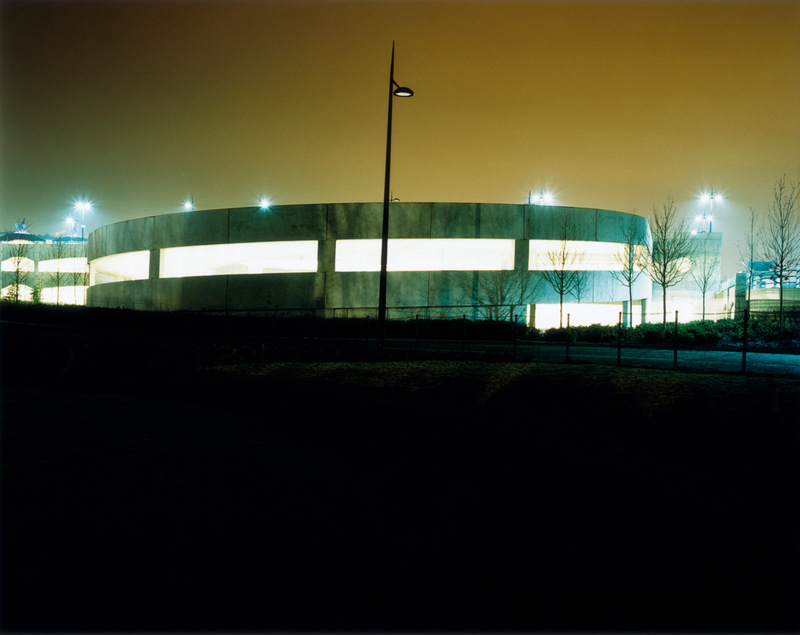 This entry was posted in Photography and tagged A Machine for Living, art, colour, Dan Holdsworth, long exposure, night, photography by Ann Jones. Bookmark the permalink.